I spent part of my day yesterday in the serene beauty of Central Park. The sun was shining, the birds were singing, and the tears were flowing. I was at a memorial for a dear friend who passed last November. I wrote about the loss in a blog post back then, but still somehow wasn’t prepared to say goodbye, yet again. A group of us were gathered at the site of benches that have been dedicated to my friend, his late partner, and their beloved dog. Benches that we are suggested to come and visit to remember. I will do that when I have the strength, and try even harder to do so, when I don’t have the strength. 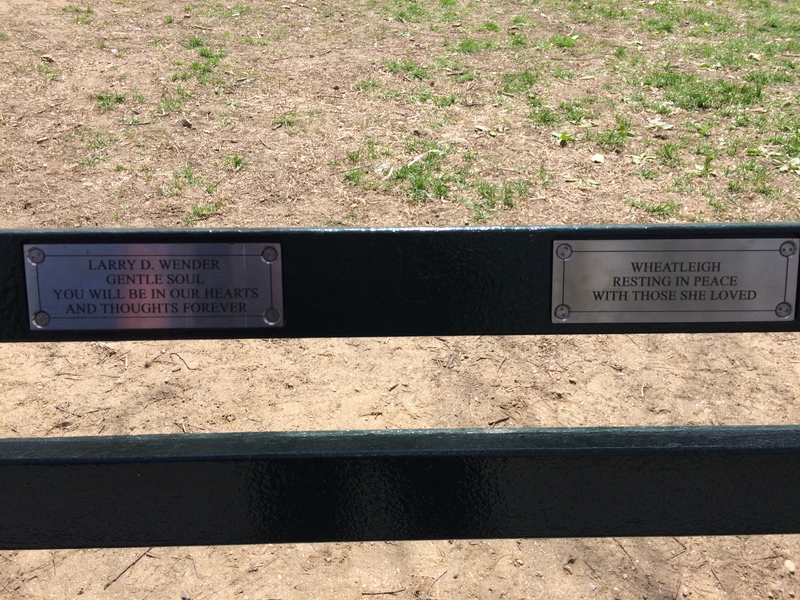 Two of three plaques on two benches, for sweet departed friends. There were stories shared, and old friends seen, and friends I didn’t even knew were shared. Almost five months have passed and life has gone on, but the pain is still present and the loss will be forever felt. In this moment though, our collective mourning (which hadn’t happened until now) seemed to soften the blow. We all loved our friend, and we will all miss him, and it helps to know that we are not alone in our sadness. One of the saddest sites is the tears of a little kid whose balloon has gotten away, watching the tears fall as the balloon rises higher and farther away. Go through it once with your child and you realize quickly that you never want to go through it again, so I remedied the situation for my kids. The next time my son’s balloon got loose and flew away, I quickly got excited and told him he needed to make a wish before he couldn’t see it anymore. He was confused at first, then I explained it was just like candles on a birthday cake. Make a wish and the loss becomes somehow easier to handle. 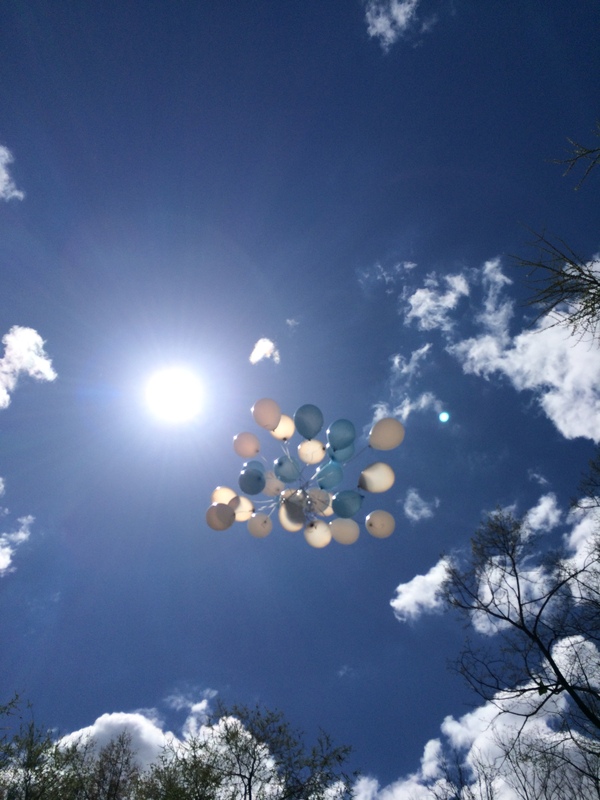 My friends’ grandchildren released a lot of balloons yesterday, and I made a lot of wishes. Redirecting an overwhelming emotion is at the core of Totem Tamers mission. If you are ever in a situation with the potential to become overwhelmed, make sure to have a Totem with you. Click on any of the Totems on the side of the page to get yours today.